No, but a nasty and public cockfight between two top leaders has dispirited many supporters. Early in the morning on January 17, Pablo Iglesias, the 40-year-old leader of Podemos, Spain’s second-largest party on the left, received an unexpected phone call from his old friend Íñigo Errejón, 35. Iglesias was at home, on parental leave to take care of his infant twins. Errejón called to tell him that he had changed his mind about the upcoming regional elections, which will be held in May and will coincide with municipal elections and elections to the European Parliament. Errejón was poised to be Podemos’s candidate for the region of Madrid, which has been governed by the right since 1995 and which Podemos is determined to win in an alliance with the United Left (Izquierda Unida), Spain’s third-largest left-wing party. Errejón’s phone call cut that plan short. Rather than running just on the Podemos ticket, Errejón told Iglesias, he had decided to join the coalition headed by Manuela Carmena, a retired judge who was elected mayor of Madrid in 2015. Later the same day, Iglesias published an emotional letter to his constituency all but expelling Errejón from the party. “This has left me shaken and sad,” he wrote. “I can’t believe that Manuela and Íñigo would have kept from us that they were preparing to launch their own electoral bid.… This is a bitter day.” He also announced that Podemos would not follow Errejón into his alliance. Instead, he said, the party would present its own candidate. And so, on the five-year anniversary of Podemos’s founding, the party suffered its biggest split yet. The reaction to the split has been mixed among Podemos supporters. One unofficial poll from the online daily eldiario.es found that 59 percent of its readers thought Errejón was in the right. Another, from Telemadrid, concluded that 70 percent of Podemos voters favored a single ticket with Carmena and Errejón’s Más Madrid and that 58 percent thought Errejón and Iglesias’s going their separate ways was a bad or very bad decision. Many of those who over time have been sidetracked by Iglesias, or turned off by his leadership style, expressed their support for Errejón’s bid, pointing out that his attempt to broaden the electoral appeal is exactly what Podemos was created to do five years ago. Others, however, branded Errejón’s decision as selfish and opportunistic or, worse, treasonous. Anticapitalistas, a group within Podemos most closely associated with Miguel Urbán, a Podemos Member of the European Parliament, and Teresa Rodríguez, the leader of Podemos in Andalusia, called the alliance between Errejón and Carmena “a unilateral move” that “doesn’t meet the minimum requirements for a democratic municipalist project.” Más Madrid, they continued, is a party that would not be “willing to confront the financial powers…that continue to run the city from the shadows.” Meanwhile, 10 of the party’s 17 regional leaders came together on January 25 to issue a call for unity, implicitly criticizing not only the divisiveness of Errejón’s action and Iglesias’s reaction, but also the tendency of Madrid to impose itself on other regions. Whatever conclusions people drew from the split, many read Errejón’s surprise move and Iglesias’s harsh reaction as the last straw. 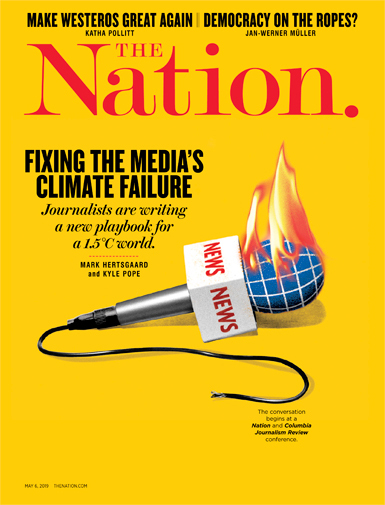 “I don’t think this is the umpteenth battle between Íñigo and Pablo,” Ignacio Escolar, the editor-in-chief of eldiario.es, said on television the following day. “I think it’s the last.” “From now on,” he continued, “they will almost certainly take separate paths.” The precocious pair of political scientists who together helped reshape Spain’s electoral landscape over the past five years had now become rivals. Many point to Podemos’s second national congress in February 2017 as the origin of the split. But the decision seems to go back to nearly five years ago, when the party was founded. Even at the time, as Iglesias and Errejón campaigned together on the same primary ticket, many onlookers saw a clear political difference between the two. In the fall of 2016, Iglesias, following the somewhat frustrating results of the June elections that year, said that the major internal debate in Podemos was “deciding whether we should continue being populists or not.” He meant “populist” in the very specific sense in which it was used by the late Argentine political philosopher Ernesto Laclau, whose ideas on the subject culminated in his book On Populist Reason. That kind of populism, which is what Errejón was advocating and still advocates to this day, involved talking about “the caste” and “the people,” viewing politics in moral terms, and crystallizing popular demands in certain symbols in order to bring all kinds of people together. Iglesias, by contrast, thought the party needed to move away from populism and attempt to consolidate the left and compete directly with the Spanish Socialist Party (PSOE), which today leads a minority government under Prime Minister Pedro Sánchez. Ironically, despite Iglesias and Errejón’s shared political differences with Sánchez and the PSOE, Podemos’s most notable policy achievements have involved reaching deals with Sánchez and pushing his government to the left on a number of issues. On December 21, for instance, the parties passed a 22 percent increase to the monthly minimum wage, which took effect on January 1. Errejón’s departure appears to echo what has taken place elsewhere in Europe, where left-wing parties, such as Die Linke in Germany, have split over questions of immigration. But such a view would mistake Errejón’s motives, which partly have to do with how to view the recent Andalusian elections and the rise of the xenophobic, far-right party Vox. Following Vox’s surprise performance, few on the left thought the solution was to turn to nationalism and close the borders. Observers noted the historically low voter turnout, which disproportionately affected the left, and Podemos leaders concluded that motivating left-leaning voters would be key to stemming the far-right tide. But Errejón, whose political strategy includes downplaying left-wing symbols and appealing to voters from across the political spectrum, said that if the occasion presented itself, he would speak to and negotiate with Vox. As in the United States with President Trump, many on the left disagree with that strategy, preferring to quarantine the radical right. It’s unclear whether Errejón’s strategy would work. Few, if any, historical precedents exist and, in a country where the far right ended its dictatorship only in the late 1970s, hostility toward any kind of negotiation is warranted. The Errejón-Carmena candidacy may instead simply end up playing for progressive votes that fall somewhere between the Socialist Party and Podemos. Another worrying factor is that Carmena’s tenure as mayor of Madrid has not been without its own problems. The retired judge, who won the elections in 2015 with the support of a broad progressive coalition that included Podemos, has managed to alienate many of her initial supporters. They blame her for doing little to curb the power of urban developers or resolve the ongoing housing crisis. To make matters worse, last year Carmena struck a budget deal with Cristóbal Montoro, former prime minister Mariano Rajoy’s conservative treasury minister, who, like many other treasury ministers from Rajoy’s Popular Party (Partido Popular), has been embroiled in a corruption scandal. As a result, Carmena’s economy czar, Carlos Sánchez Mato, who worked hard to reduce the city’s massive debt but who opposed her deal with Montoro, was let go. He is now considering a run against Carmena in Madrid this spring on the ticket of the United Left. At an emergency Citizens’ Council meeting on January 30, Podemos decided to first solidify the alliance with the United Left and other leftist parties, and only then invite Errejón to join. The United Left, meanwhile, has not yet decided what it will do. Errejón’s move puts Podemos in a further bind: The party has few candidates, if any, who would be able to compete against a Carmena-Errejón ticket in the region of Madrid. 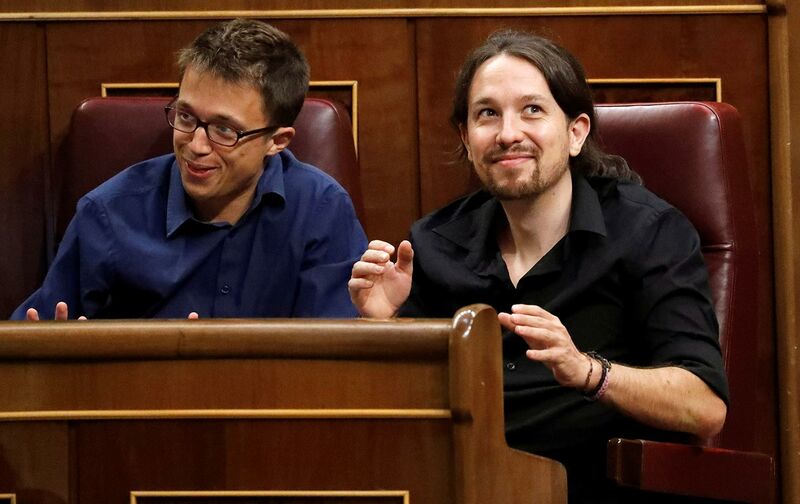 In the end, Podemos may be forced to join forces with Errejón, whether it wants to or not. This chaos and confusion was not exactly what Errejón had hoped for, Pedro Vallín, a journalist at La Vanguardia, told us. “I honestly think Errejón thought his challenge was going to work and that Podemos and the United Left would join his operation to avoid greater evils,” he said. “But to think that Pablo Iglesias would swallow such a thing was not very realistic. If there’s one thing that distinguishes Iglesias, for better or worse, it’s his lack of fear.” A week after Errejón’s departure, the chaos and confusion reached a fever pitch. On January 25, Ramón Espinar, the regional leader of Podemos in the Madrid region, announced that he would abandon politics altogether, saying that “the conditions don’t exist to take the project of Podemos in Madrid where it needs to go.” Espinar, who is closer to Iglesias than to Errejón politically, made the decision to step down, apparently, in direct response to Iglesias’s handling of Errejón’s departure. A recent poll from eldiario.es doesn’t add much clarity to the situation in the Spanish capital region: It puts Errejón and Carmena’s Más Madrid at 10.5 percent, slightly ahead of Podemos, at 9 percent. In a widely read article, Vallín, the journalist, compared the situation to France, speculating that Errejón’s break from Podemos may turn Madrid into a test case for a Macron-style coalition between the center-left (the Socialist Party and the Errejón-Carmena tandem) and the center-right, represented by Citizens (Ciudadanos). Such an alliance would end up isolating not only the radical right (Vox, along with the Popular Party) but also Podemos and the United Left. The country’s economic powers have long pushed for such a coalition, he explained: “Madrid can become a laboratory for rehearsing a centrist front against the threat of the far right, a conservative bloc against postmodern fascism.” As in France, such a front would mean a return to Tony Blair–style neoliberalism. Iglesias and his inner circle have gone one step further, suggesting that Errejón’s breakaway was part of a premeditated strategy from the Socialist Party establishment and economic elites, meant to defang Podemos once and for all. The chaos in Madrid has spread across Podemos’s regional affiliates as well in the form of conflict, cliques, and infighting. In the Andalusian elections in December, the alliance of Podemos with the United Left won 16 percent, five points less than in 2015. These results were disappointing but not surprising. Since the Catalan crisis came to a head in the fall of 2017, Podemos has had a hard time navigating a political landscape dominated by the territorial question. The Podemos leadership has also committed errors—among them, allowing political conflicts to quickly get personal and public. And despite the party’s much-touted internal democracy, its members have complained about participation, which, in some cases, has been reduced to referenda on trivial matters. Last May, Podemos members were asked to decide whether Iglesias and his partner, Irene Montero, who is also the party’s second-in-command, should resign over their controversial decision to buy a $700,000 family home. (They won by 68 percent.) Important issues, such as how to respond to Errejón’s decision to join forces with Carmena, on the other hand, have not been submitted to a vote.